Payout: the number of Coins you receive for a winning spin. If a winning combination of symbols falls on a payline present at that slot machine, you'll earn a payout. For each winning line, a multiplier is applied to the number of Coins bet on that specific line, as specified in the slot's payout guide. Your total payout for a spin is the sum total of wins on individual paylines. In other words, wins on each payline are added up and displayed as your total payout amount. To count as a win, most slot machines require at least three of the same symbol (including Wilds) to appear sequentially on a payline. 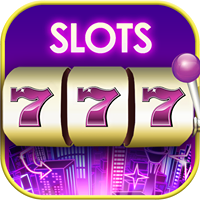 This varies, so be sure to check each slot's payout guide to see what counts as a win. The more times a symbol (including Wilds) appears in sequence on a payline, the larger the multiplier. For example, a larger multiplier will apply when five symbols of the same type appear in sequence than if only three symbols appeared. If the total payout is smaller than the amount bet, you'll see a net loss in Coins for the spin.